Logan's Bike Ped master plan is expected to pass in 2015. 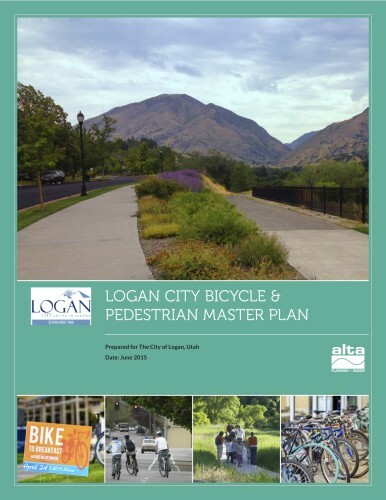 October 5, 2015 – The City of Logan, Utah is moving forward with their Bicycle and Pedestrian Master Plan. There will be a public hearing tomorrow, October 6, 2015 in front of the City Council, at 5:30 pm at Logan City Hall, in the Council Chambers , 290 North 100 West , Logan, UT 84321. The City of Logan will create and promote a convenient, accessible, well-maintained, and integrated bikeway and trail system that provides residents with attractive options for transportation and recreation. This system will help balance the city's multi-modal transportation network by comfortably accommodating users of all abilities and link neighborhoods, Utah State University, recreation areas and adjacent communities while improving collective health and air quality. Cyclists are encouraged to attend the meeting to show their support for the plan. NOW THEREFORE, BE IT RESOLVED THA T THE LOGAN MUNICIP AL COUNCIL, hereby adopts the Bicycle and Pedestrian Master Plan. This resolution shall take effect immediately upon its adoption and approval. PASSED BY THE LOGAN MUNICIPAL COUNCIL THIS 6th DAY OF OCTOBER, 2015.